Working at Arch Model Studios, we were part of a team of model makers that made the puppets for Cravendale’s ‘Barry the Biscuit Boy’ ad campaign. 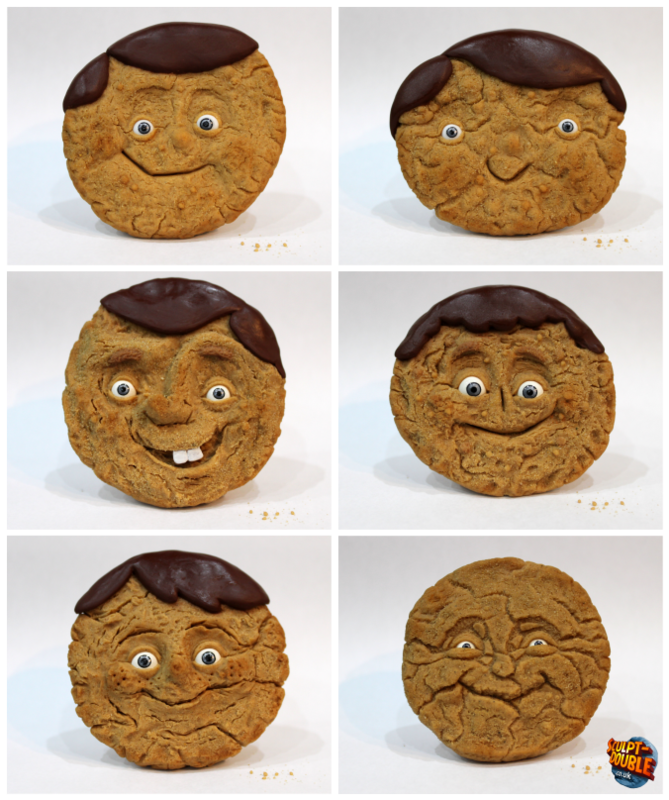 These included rod puppets of the three biscuit characters; ‘Barry’, ‘Mum’ & ‘Dad’, as well as a stop motion puppet of ‘Barry’ the biscuit boy. 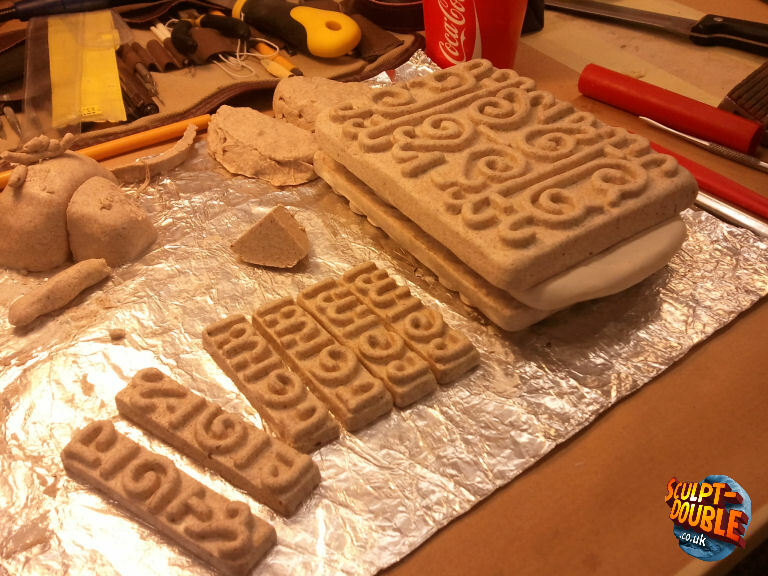 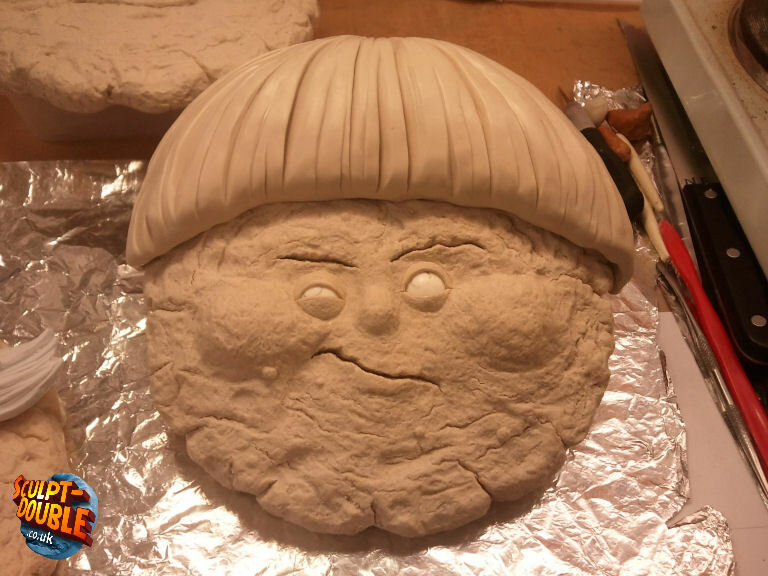 We were also involved with the design development of ‘Barry’, sculpting initial face/biscuit tests (pictured below), which were later used to create the final design. 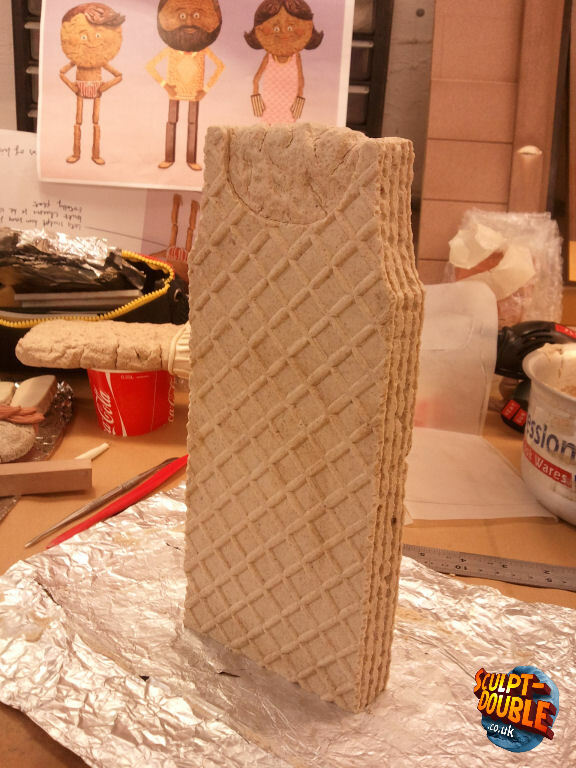 The final characters were sculpted using a mixture of plastiline clays in two scales. 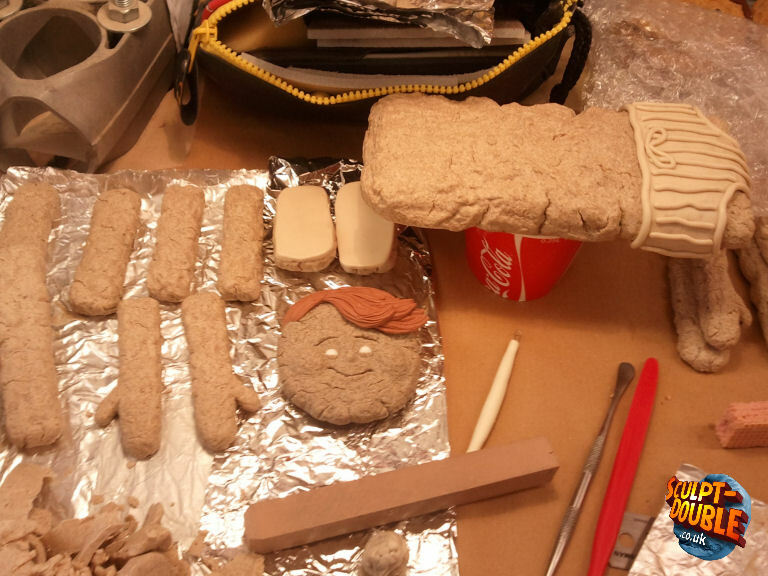 The larger rod puppets stood around 80cm tall and the small stop motion ‘Barry’ puppet stood 17.5cm tall. 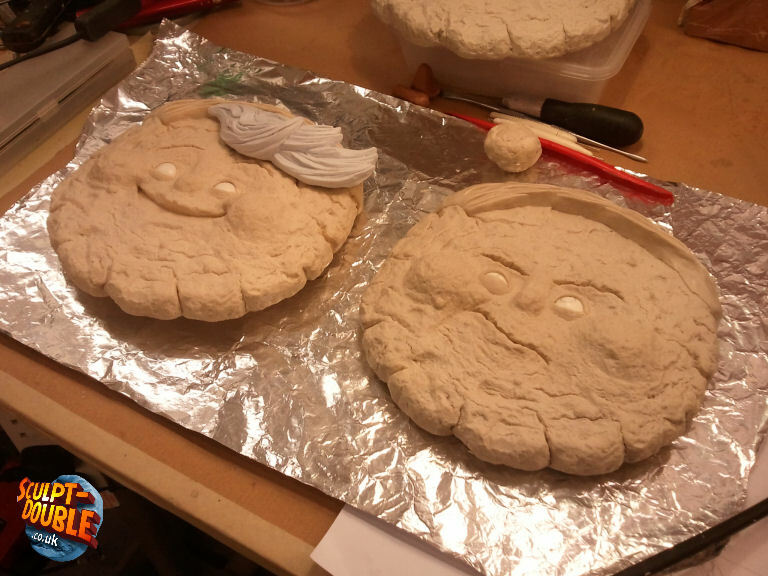 You can see more of the puppets in the making-of video below.